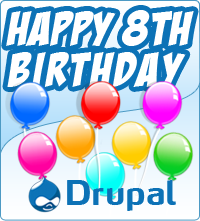 Drupal-Chennai: Happy Birthday from Chennai, India! Hi, i have some doubt in Multisite. When i configured, all site show same content. I am student of Anna university. i create a site for my university & you can see that at http://auengineers.com. please give details about multisite configuration. I am blogging at http://tamiltech.indioss.com. (software review in Tamil) If you have time please visit that also.